London’s biggest year in recent memory swings into high gear in April, with the Virgin London Marathon (April 21-22), the Queen’s Jubilee celebration (June) and the Olympics and Paralympics in August. To top it off, 2012 is the year the world’s greatest super-spy, James Bond, turns 50. Special Marathon Rate for the night prior to the race, based upon availability. Starting at USD $269.00 per night plus applicable taxes. Special high-carb dinner available at the hotel’s Caxton Grill, April 21. Power breakfast available at the hotel on Marathon Day, April 22, beginning at 6 AM. Late check out (4 PM) for those departing after the race. Priced at $1,569.00 plus applicable taxes for a full three-night stay. Deluxe room for family of four, two double beds, starting at $429.00 per night plus applicable taxes, for a minimum of two nights. Offer is subject to availability. Price includes VAT and is based on a minimum of a two-night stay. Built originally on the site of a monastery in the Victorian era, the St. Ermin’s has functioned as a hotel since 1900. The property’s original courtyard garden has been restored and lushly replanted; the metalwork arch rebuilt between the gothic creatures guarding the entrance, creating a unique sense of arrival. The St. Ermin’s garden courtyard provides a relaxing haven and a true sense of seclusion, surprising given the hotel’s location in the center of bustling London. The original foyer of the St. Ermin’s, created by British designer J.P. Briggs, was regarded as one of the most delightfully theatrical public spaces of its time when it opened in London. This sense of drama and scene-setting has been given a distinctly contemporary feel of easy luxury, by Los Angeles designer Dayna Lee, who added a colorful, textural feel to the grand opening space -- adorned by period pieces of artwork, one of a kind collectibles from Asia and the Far East, and soft, welcoming lighting. The public spaces boast sweeping staircases, curved balconies, sumptuous plasterwork and a wildly romantic Baroque ballroom, all lovingly restored to the strict specifications of a listed London building. To meet the exacting standards of today’s contemporary traveler, the renovation included the addition of a state of the art fitness center, free WiFi in all public spaces, a centrally located lounge off the lobby, and conveniently accessible retail space. The Caxton Grill, http://www.sterminshotel.co.uk/Restaurants-Bars/Caxton-Grill, offers innovative modern European fare, served by informal, attentive staff amidst a striking, contemporary dining environment. The hotel’s 331 spacious rooms and suites have been designed to make guests feel relaxed and at home at their exclusive Westminster address. The spacious accommodations evince a global, textural influence, which creates a sense of calm and repose. No luxury has been overlooked -- crisp bed linens, sumptuous soft furnishings and inviting bathrooms with indulgent White Company products, encourage guests to slip on a fluffy bathrobe and pamper themselves. The St. Ermin’s hotel is situated in a quiet enclave within Westminster, yet at the hub of activity in the center of London; it is located at Caxton Street and Broadway, just off Victoria Street. It is within easy walking distance of Parliament Square, the London Eye, Westminster Abbey, Houses of Parliament, numerous businesses and governmental ministries, Buckingham Palace, St. James Park, The Green Park, Piccadilly, and Queen Elisabeth II Conference Center. The St. Ermins is a historically meaningful structure, originally constructed as mansion flats on the site of a 15th century monastery. In the early 1900s, the structure was converted to the St. Ermins hotel. It was purchased by Philadelphia-based Amerimar Enterprises in 2010, which completed its extensive renovation in April, 2011. 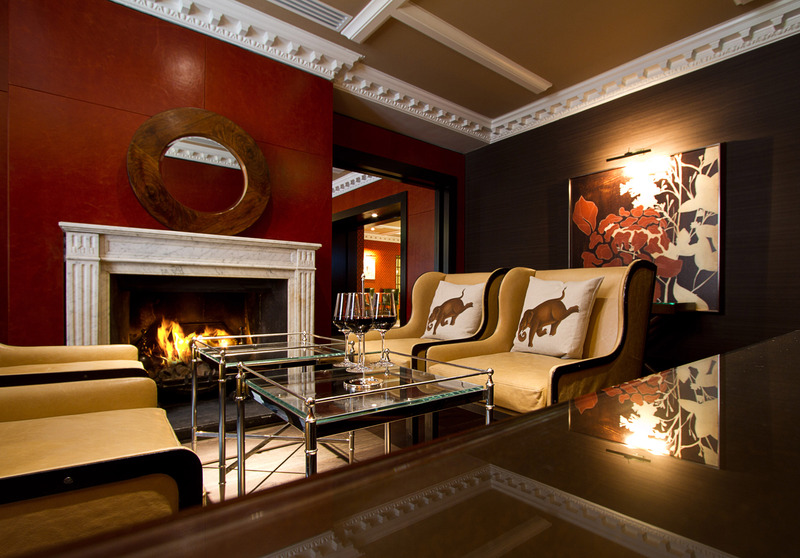 For more information or reservations, visit http://www.sterminshotel.co.uk/ or call, 1-877-218-6004.